Meet the Press is a weekly American television news/interview program airing on NBC. It is the longest-running television series in American broadcasting history, despite bearing little resemblance to the original format of the program seen in its television debut on November 6, 1947. 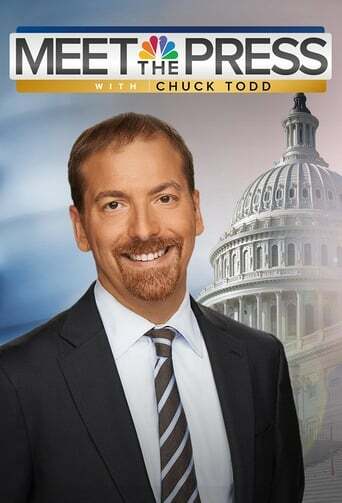 Meet the Press is the highest-rated of the American television Sunday morning talk shows. It has been hosted by 11 moderators, beginning with Martha Rountree. The current host is David Gregory, who assumed the role in December 2008. The show began using a new set on May 2, 2010, with video screens and a library-style set with bookshelves, and different, modified intro music, with David Gregory previewing the guests using a large video screen, and with the Meet the Press theme music in a shorter "modernized [style]... the beginning repeated with drum beats". Meet the Press and similar shows specialize in interviewing national leaders on issues of politics, economics, foreign policy and other public affairs. Over the past few years, the program's usual time slot over the NBC network is between 9-10 a.m. local time in most markets, though this may vary by markets due to commitments by affiliates to religious, E/I or local news and public affairs programming. It also varies several weeks in the summer due to morning coverage of French Open tennis or the Monaco Grand Prix by NBC Sports. In earlier years, the program would air at noon every Sunday. The program also re-airs Sunday afternoons at 2 p.m. ET and early Monday mornings at 4 a.m. ET on MSNBC, along with an early Monday morning replay as part of NBC's "All Night" lineup. The program is also distributed to radio stations via syndication by Dial Global, and aired as part of C-SPAN Radio's replay of the Sunday morning talk shows.